Recycling, upcycling, repurposing…whatever you want to call it, we are always looking for ways to reuse materials that would normally be thrown away to help keep our impact on the waste stream low. Although I’m not personally a big fan of buying produce that comes in plastic containers, there are the occasional times that I do. Once they’re empty, I always find a use for them. My number one favorite way to reuse produce containers (and plastic egg cartons) is for seed starting! Some of the containers already have the drainage holes (like berry cartons) and the rest are easy to poke through with a knife or corn cob holder (I heat it up first using a candle or gas burner on my stove so it melts a quick hole right through). It’s a simple project. Fill the containers almost to the top with seed starting medium. Plant your seeds. Cover with soil. 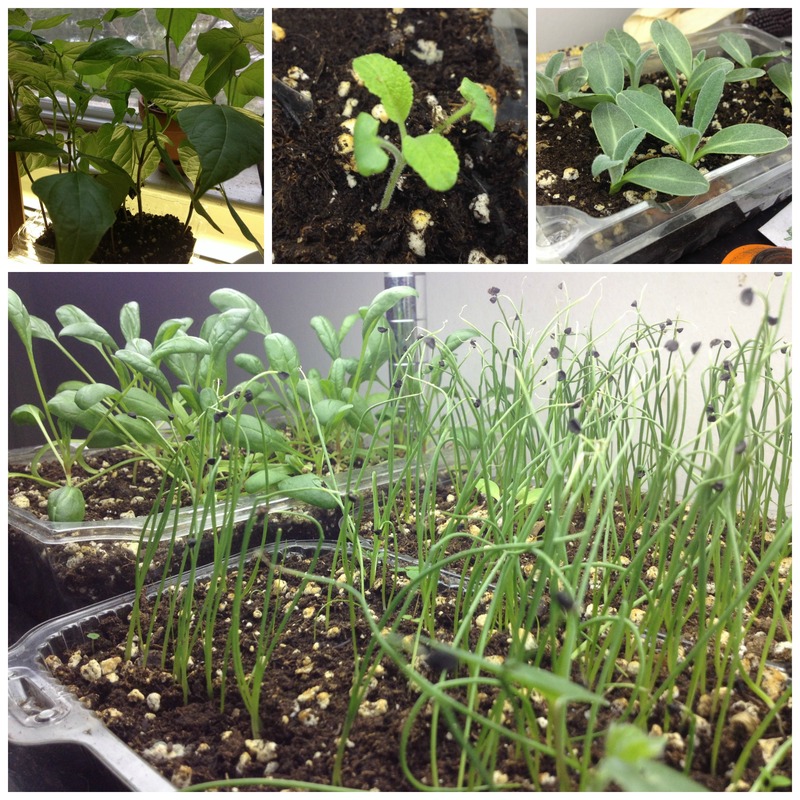 Water, leave in a bright and sunny location or under a grow light, and wait for your seeds to germinate. 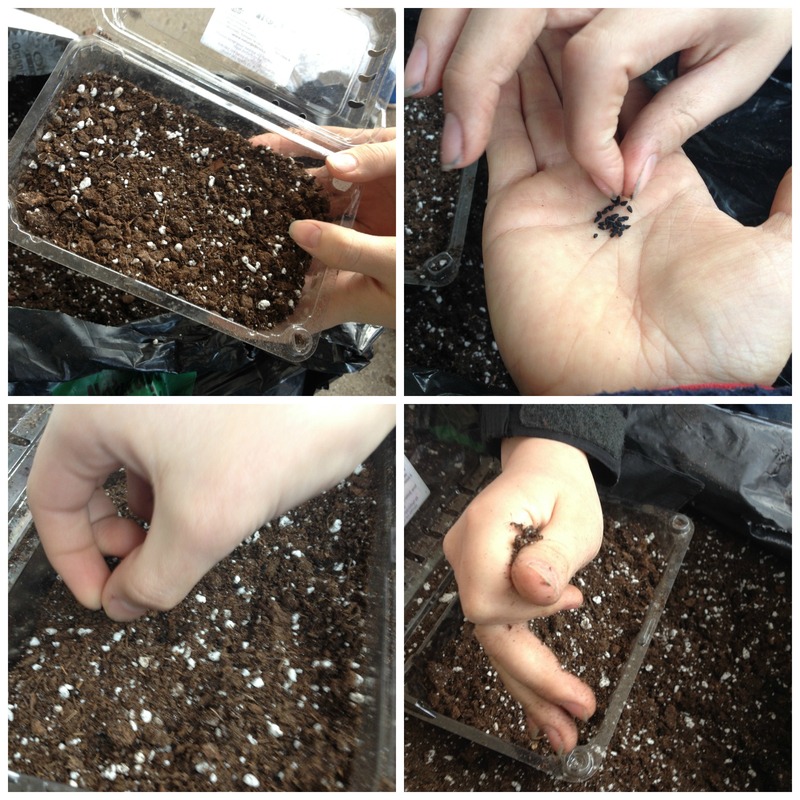 Seed starting in plastic containers. Save up the containers year round. Fill with seed starting medium, plant seeds, cover, water, and wait til they germinate! For me, the easiest seeds to start in produce and egg containers are herbs, onions, some flowers, and greens for microgreen trays. Any seeds that you can plant thickly as a seed bed and then later separate into single pots or for transplanting will work. (I leave my tomatoes, eggplants, peppers, brassicas, cucumbers and some flowers for individual cell-packs and seedling trays). Counter-clockwise from top left. Black bean seed germination test, sage sprouting in upcycled egg carton, green globe artichokes growing in recycled berry container, white pickling and small yellow onions and spinach growing in repurposed greens containers. When do you start your seeds? Check the last frost date for your area. Seed packets generally have information on whether the seeds should be direct sown or planted indoors. If the packet says start indoors, calculate backwards for each seed variety you want to plant by how many weeks before the last frost it should be planted indoors.